Brenda Pandos - Young Adult/New Adult Paranormal Romance Author: What's my favorite Christmas movie? Hosted by Catarina of Reading and Things. WHAT MOVIES DO YOU AND YOUR FAMILY ENJOY OVER AND OVER? My kids are a little young to enjoy the classics quite yet, and last year I picked up A CHRISTMAS STORY and ELF. They love them so much, they're now quoting the movie. "Ralphie!" "I can't put my arms down." "You'll shoot your eye out." Now it's your turn. What's your favorite Christmas movie you can watch over and over and never grow tired of? At 6pm CMT, I'll be partying on the Facebook page, giving away goodies and having lots of fun. This FACEBOOK event runs from December 12-December 23. 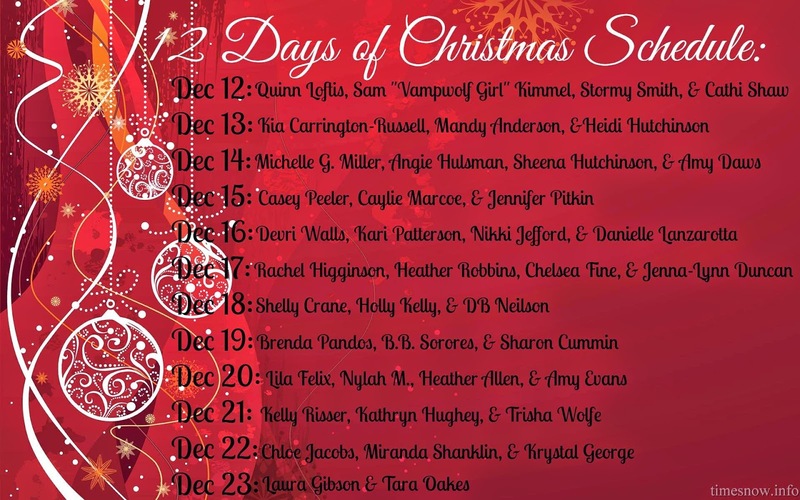 Come celebrate the holidays with your favorite authors and bloggers and take part in games giveaways and more.